The campsite's policy is that of respecting a sustainable environment. Help us to preserve our biodiversity. We are in a world where the impact of man is irreversible: pollution and waste. We are in the dawn of climatic change therefore we must slow this process. We must all help by respecting the nature which surrounds us. Working with nature is our priority. We work towards being eco-friendly. The flora of the campsite consists of plants from the region that need little watering. We have created areas in the campsite with trees for shade and relaxation. We advertise our local businesses, so that you may buy from the bar, the restaurant and grocery. Products that our eco-friendly are thus labelled. Reduce rubbish by making choices when buying. Watering plants after the sun sets. Saving energy: The toilet blocks are equipped with timed taps. The electric bulbs in the communal areas as well as in the accommodations, mobile homes and chalets are all of low consumption. The night lights around the campsite are also energy saving. To reduce the rubbish, we have recycling bins. Recycling batteries and ink cartridges. This ecological commitment of the campsite is clear and written in its quality commitment. Your actions during your holiday on the campsite. 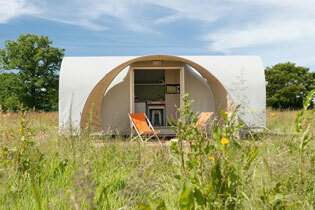 We would ask you to participate in an eco-friendly environment during your stay at the campsite of the Soleil d'Oc.